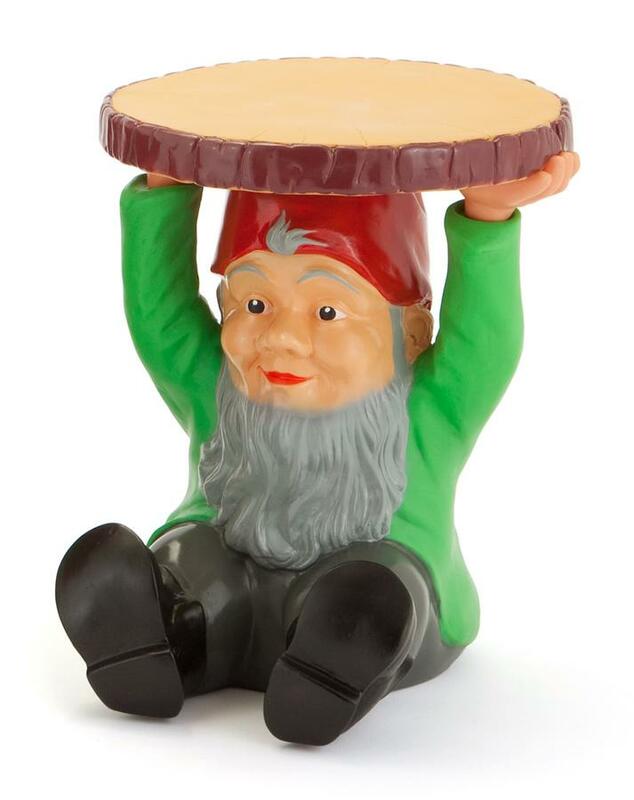 With the Kartell Gnomes designer Philippe Starck reinterprets the traditional, conservative dominated, world of the Garden Gnome. 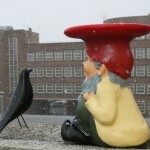 Starck's Gnomes can be used as stools or a side tables and enrich both indoor and outdoor spaces. Variants Saint-Esprit is only available in a multi-coloured version, Napoleon and Attila additional in the black and gold. 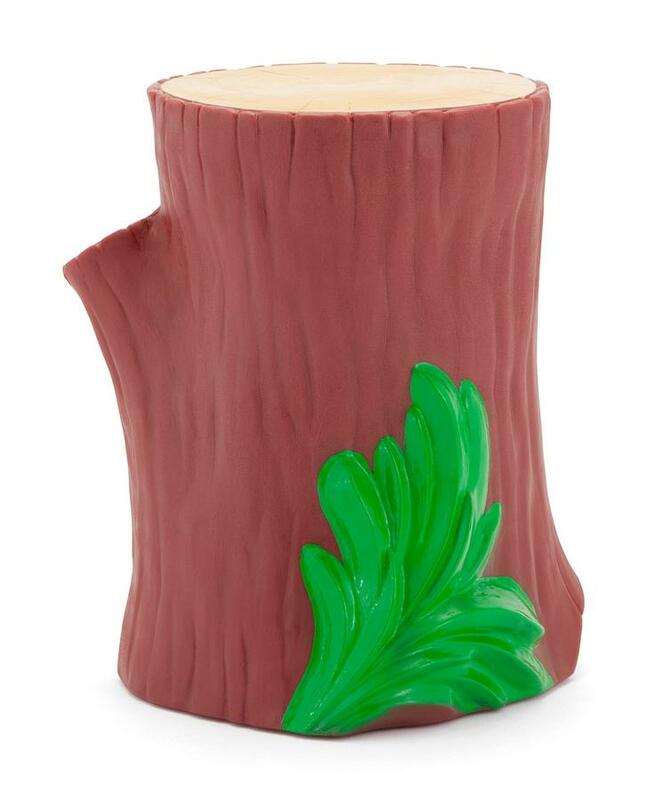 Care To clean it is recommended to wipe with a damp cloth and a mild detergent. 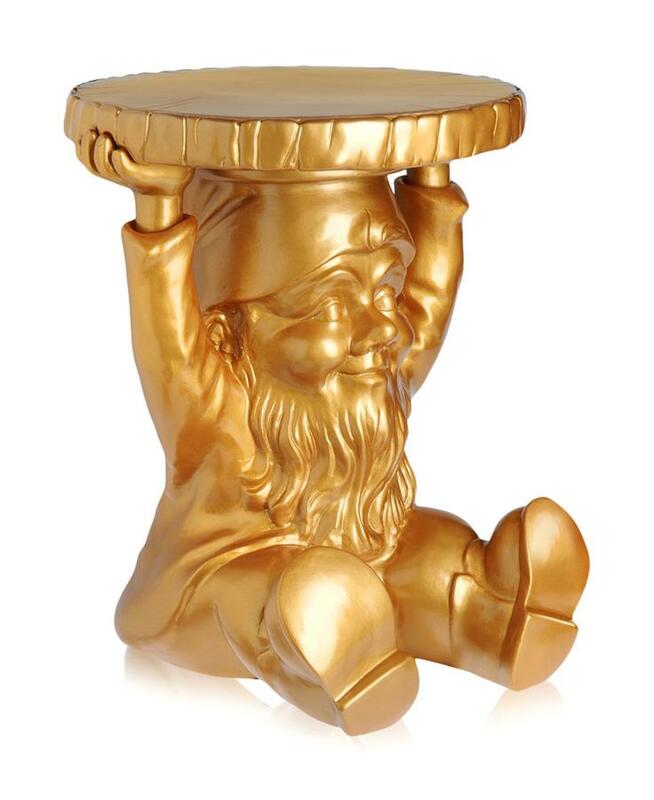 Philippe Starck, born in 1949 in Paris, designed his playful Gnomes as unconventional furniture objects for the Italian manufacturer Kartell. 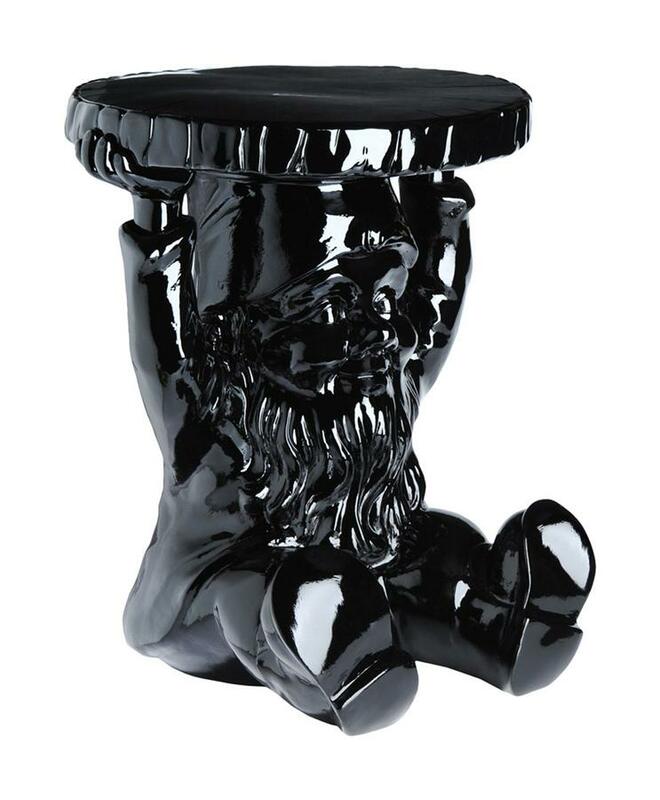 Suitable both as a stool or as a side table the Gnomes are inspired by rather old-fashioned and conservative idea of the garden gnomes: Philippe Starck however interprets the small figures in a form and with a contemporary understanding of aesthetics and thus gives his Kartell Gnomes a modern image. 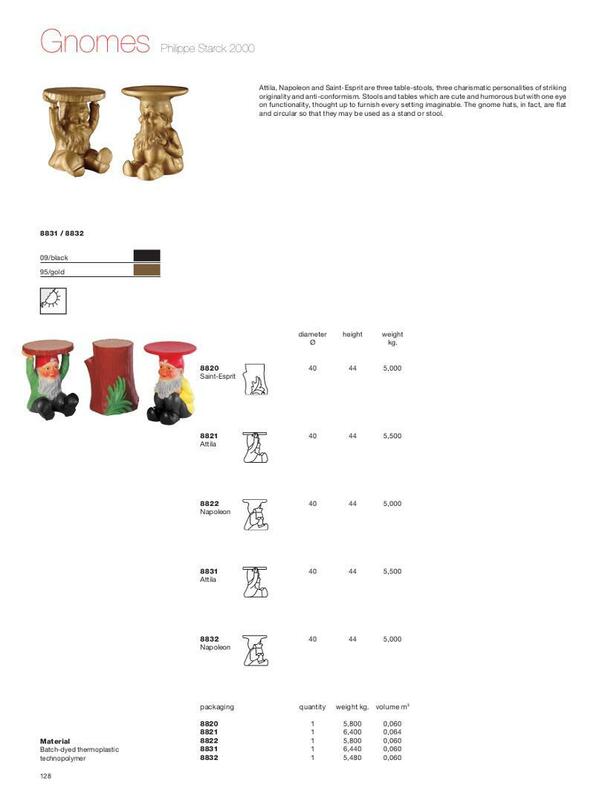 The Gnomes Napoleon and Attila are available in multi-coloured, black and gold versions , Saint-Esprit exclusively in a multi-coloured design. 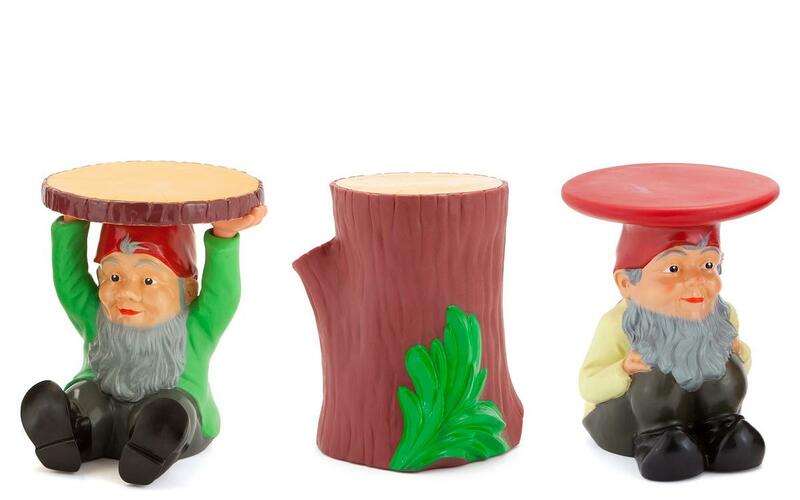 Made of sturdy synthetic material, the Gnomes from Kartell present a positive outdoors image. The star designer Philippe Starck can back on a a remarkable career as interior designer and product designer which has seen him work for numerous international manufacturers and label, including the creation of numerous iconic objects for Katell. Based south of Milan, Kartell's principle focus is the production of individual designer furniture made of plastic.